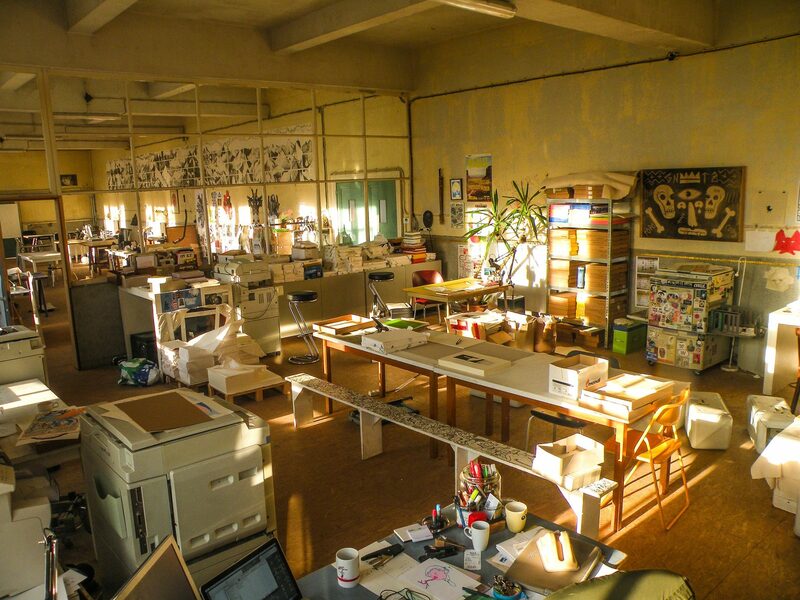 Topo Copy is an ‘openlab-research-center’ for print, zines, paper, copy, ink and art … with a selfpublishing label & library, activities such as workshops, lectures, interventions and expo’s. We run an open atelier with machines for creation using ink and paper! We print Riso! We’ve been around since 2011.